4 Walls & Bouldering The tickets cost INR 200 (and you get unlimited chances to climb the wall, but I bet you won’t be able to do more than five). Oh, and the trainer charges included in the ticket. It’s a beautiful government facility located in the South Campus area of Delhi University. I have been here a couple of times and can confidently say that the crowd is decent, trainers are experienced and professional, and also encouraging in nature. There are four walls and a bouldering section. 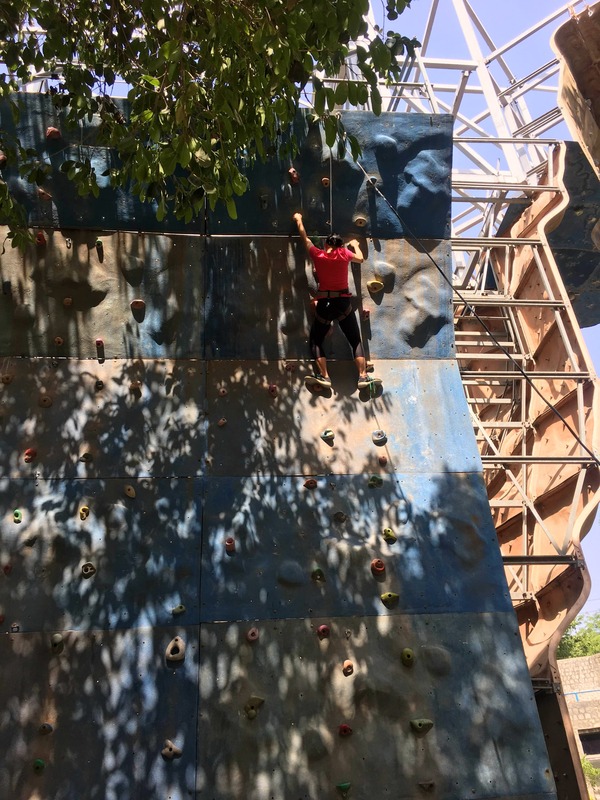 The speed and lead climbing walls are as per Olympics standards. If you’re interested to pursue climbing as a hobby, you can take the membership. They even have 3-7 days long workshops and training for climbing, trekking, etc now and then. I haven’t participated in these activities myself, so can’t comment on the quality, but it did sound exciting how the guide described it to me. I like to go here on my own or with two to three people at max. Since I’m learning, I like to get the attention of the trainer and enough time for myself to focus on the sport. But I think it’ll even be fun to go with family or a big group of friends. There are more activities at the venue, and there's a museum too. The timings are 10 am to 1:30 pm and 2 pm and 5 pm. Oh, and it's closed on Mondays. If you decide to go, give your best and have lots of fun. It’s a hidden gem in Delhi as not many people know about it. They should improve the washroom. Everything else was perfect. Bae, Big Group, and Family.